WorldFish has introduced the first breeding program for the high value and popular climbing perch (anabas testudineus) in Myanmar. It is hoped that the fish will thrive in the shady ‘chan myaung’ or irrigation canals that crisscross the Ayerwaddy Delta, an untapped opportunity for aquaculture say WorldFish researchers. As part of the LIFT funded MYFC project, researchers established, in consultation with local communities, that climbing perch together with catfish, tilapia and snakehead are high value popular fish that can boost food and nutrition security in the region, but also offer an income to ‘chan myaung’ owners. 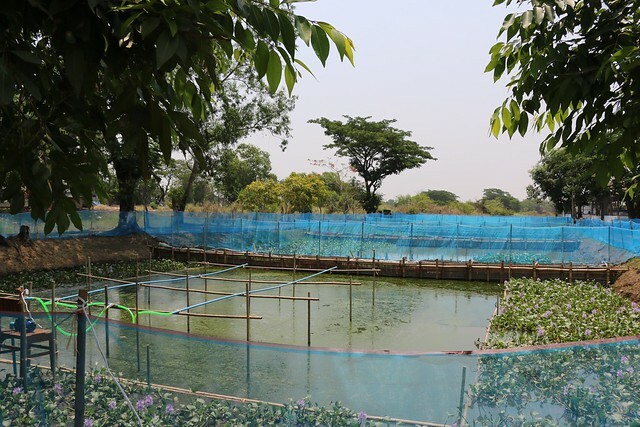 The goal of the initial experiment, conducted at a Department of Fisheries owned hatchery, is to discover whether the introduction of bred fish into ‘chan myaung’ is a viable means of fish farming. 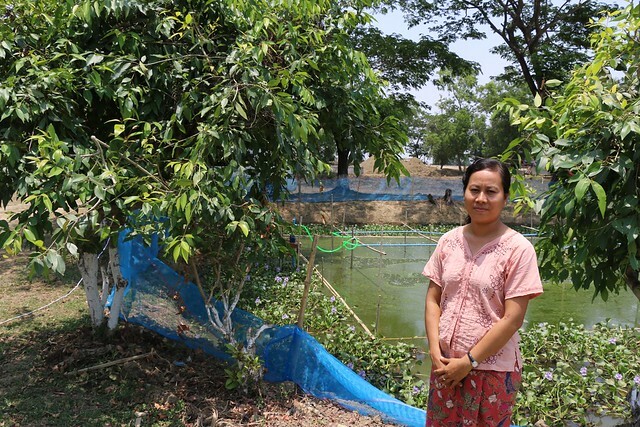 While ‘chan myaung’ may be already populated to some extent with wild fish, the introduction of fish bred for farming may offer a higher quality and more consistent harvest. Climbing perch can attract market prices more than double that of traditionally farmed rohu. An initial result of the experiment is that half a million climbing perch larvae have been produced, signaling great potential for its introduction to aquaculture in Myanmar. The MYFC project will provide training to more than 500 farmers on how to farm the different species identified. MYFC will aim to improve and extend the benefits of aquaculture from large to small-scale producers focusing on 5,000 households directly engaged in aquaculture value chains and a further 5,000 households that will benefit indirectly via awareness raising and exposure to knowledge, sharing and learning.